Massive sounds for a classic software synthesiser. Each of the 50 NI Massive presets have been highly developed. Utilising the excellent internal FX and pushing its sound engine to the limits. All 8 macros assigned. Allowing you to quickly transform the sound. 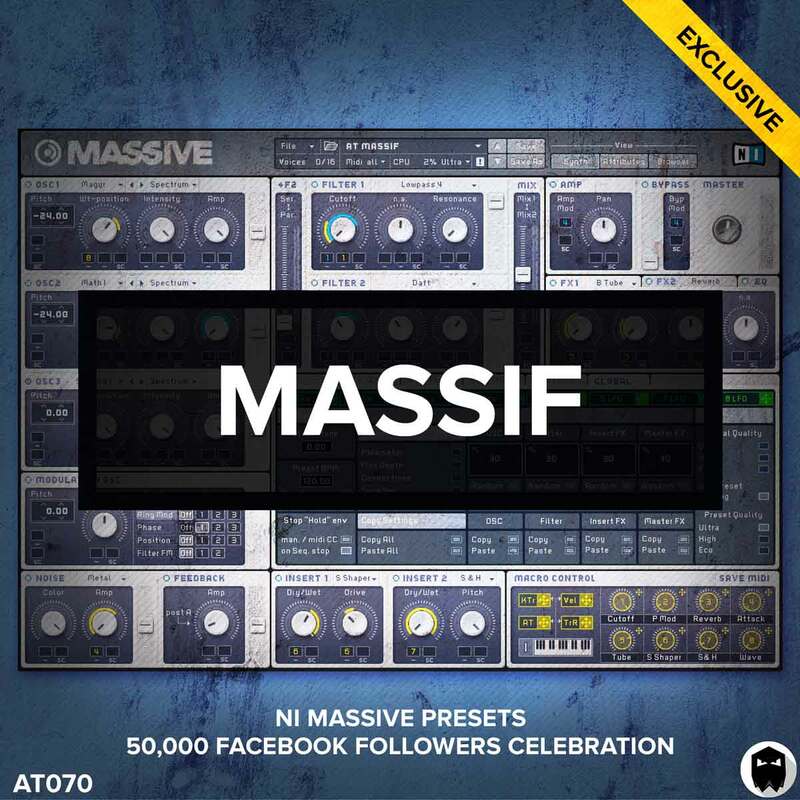 Download Massif Deluxe to access 50 NI Massive presets, 50 MIDI files and 50 wav loops. Download. Be inspired. Be creative. For producers that only want the NI Massive presets. For producers that want the NI Massive presets, MIDI files and WAV loops. In order to load the presets you will require Native Instruments Massive VST/AU v1.5.1 or higher.